I came to Edinburgh with very little idea of what to expect. We were in town for a conference, not because we had specifically planned to visit. 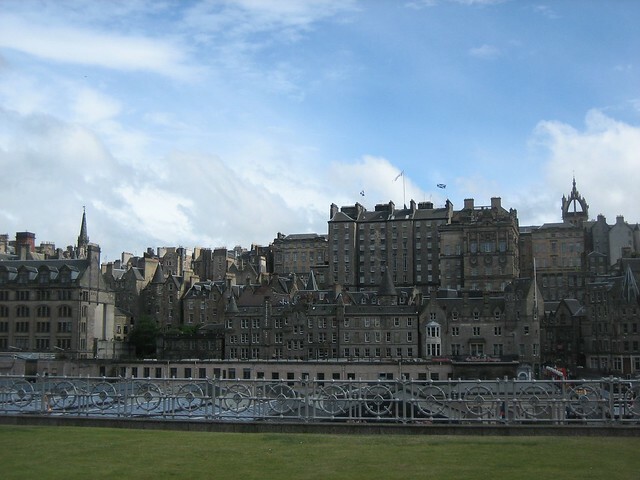 I had done a fair bit of research on Istanbul and Berlin for this trip, since they were more foreign to me, but I hadn't looked into Edinburgh very much at all: I figured I would figure the place out on the fly. I guessed that it would be a pleasant and fairly wealthy British-style city. I knew that Edinburgh had a strong history of literary and scientific achievement, but I didn't have much sense of what it looked or felt like. The only movie I remember taking place in Edinburgh was Trainspotting, which doesn't really feature the touristy, historic parts of town (and it turns out that it was mostly shot in Glasgow). We arrived by train and took a cab directly from the station to our hotel in the west end of downtown, so we didn't get a good look at the city until the next day. The western side of the downtown seemed mostly like what I expected. It looked a lot like what I had seen before in Britain: lots of cozy grey stone buildings mixed with shiny offices, somewhat windy damp roads, and, after the massiveness of Berlin, a refreshingly human urban scale. Istanbul is built on several low hills, and Berlin is mostly flat, and their palaces are built more for elegant sophistication than military defence. 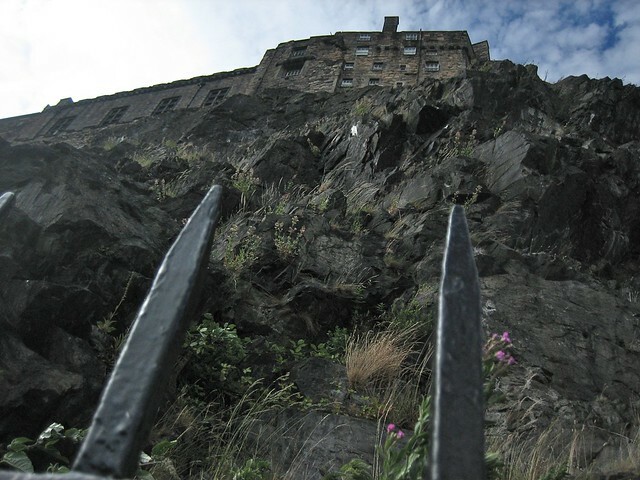 Edinburgh Castle, on the other hand, is perched on top of a giant slab of volcanic rock, rising vertically above the city, and seems like the site of many great battles - which it was. Further along, we came to the Sir Walter Scott monument, an intricate gothic revival steeple that would be at home atop a giant cathedral, but is instead planted on a lawn next to Princes' Street. 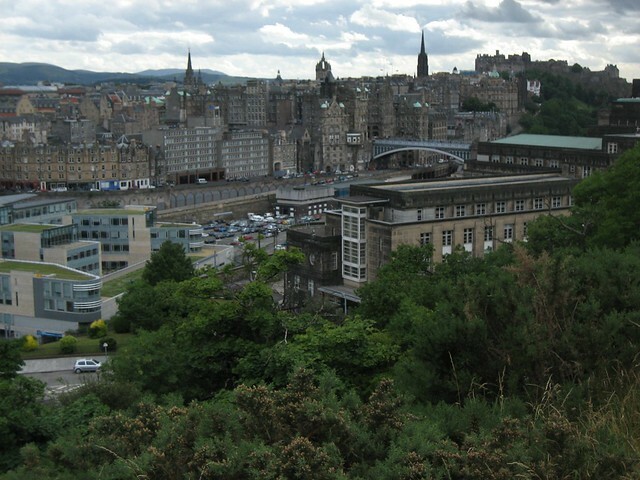 The Old Town of Edinburgh is built on the hill behind Edinburgh Castle. 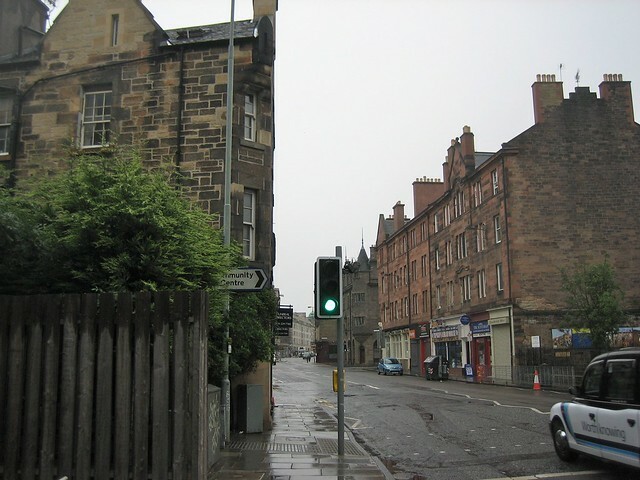 For centuries the city was strictly limited to only this hill, sloping down from the Royal Mile that runs along its crest - making for an extremely dense medieval downtown. Although most of the buildings date from the 16th century and later, the roads still keep the medieval plan. The long high ridge with a valley (actually a filled-in loch) between it and the rest of the city makes for spectacular views. 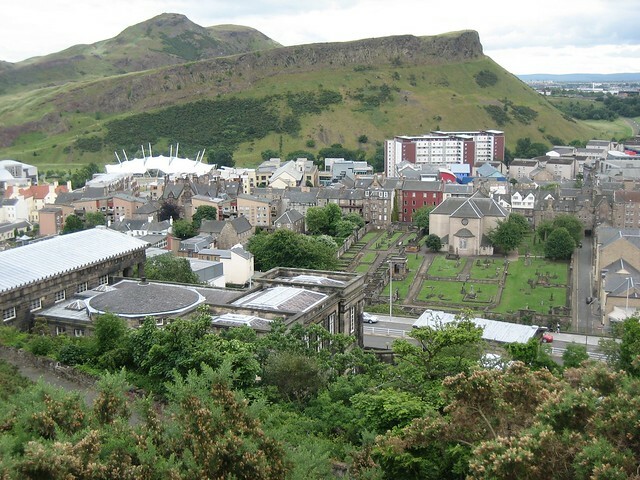 It turns out that downtown Edinburgh is a UNESCO World Heritage Site and almost a quarter of the city is under historic conservation designation. The city is a major tourist destination - over a million visitors a year from around the world - and the second most popular destination in the U.K. after London. 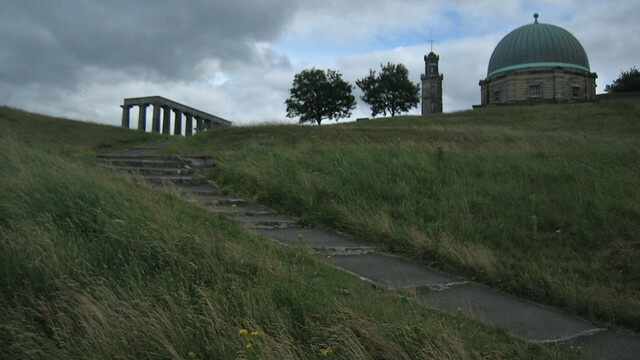 It isn't a surprise that we found the panoramic views from Calton Hill so striking: the first-ever use of the term Panorama was in 1792, to describe a hugely popular 360-degree painting of Edinburgh as seen from the top of this hill. A quick check of Wikipedia or a guide book would have given me an idea of what to expect - but then I would have walked around town looking for the notable views of the castle and the Royal Mile, probably comparing them to professional photographs or paintings. Instead I got to come upon them fresh with no expectations - something I guess you, having read this, won't be able to do. Sorry about that! There are plenty of other scenic destinations that you can try instead. I recommend Strasbourg, France, or Lake Garda in Italy - but don't look them up first. (You can see more pictures my Flickr Set of Edinburgh).